Allwrappedupwithink | Amanda Gardner Independent Demonstrator – Stampin' Up! 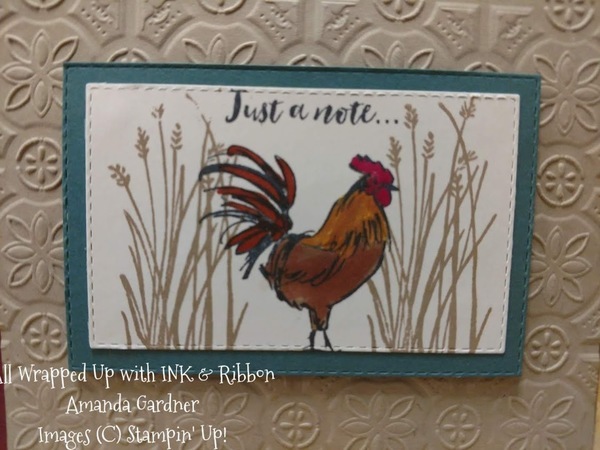 Amanda Gardner Independent Demonstrator – Stampin' Up! Well winter has finally showed it’s face along with the freeze mister….It is a balmy -2 at our house! I am sitting enjoying a cup of coffee watching the sunrise and the birds at my feeders. There is about an 8 inch covering of snow that we got on Friday with more expected this week. I enjoy the cooler temps (not subzero) and the sparkle of new snow but only for about a day. I was so enjoying our temps in the 30’s with no snow. But that is winter in Wisconsin! The upside to this snow stuff is I get more time in my crafting room! This week I started making Valentine Cards because it will be here before we know it. I was using the All My love Suite and Designer Series Paper. This set is great for not only Valentine’s but Wedding, Anniversary, Birthday. The paper is so pretty. Well time to get moving and get those lovely chores done so I can go create! Have a great day! Holding either Club or Class each month or both if time allows! Help my team reach their goals and share as much knowledge with them as I can. Earn the Incentive Trip to Maui in 2020 by September. So there they are out there for all the world to see. Kind of scary for me because now I have to be accountable for these. I will be hosting class tomorrow for a great group of ladies. 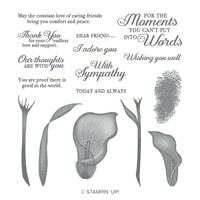 We will be making three cards using many new items for the Sale-A-Bration and Occasions Catalog. This is one of the best times to become a demonstrator. Not only do you get so much with your Starter Kit you can upgrade to get this great craft and tote! As a demonstrator you get first chance to order items before it becomes available so I was able to get mine in November. The catch is this is only available to new demonstrators from this point forward. I have used mine several times and you would be surprised how much it holds! Plus there is a case for your stamparatus as well that can be ordered as well! This is one of the cards we are making tomorrow. The stamp set is a reward for purchasing $50 in product. I love chickens so this is my type of stamp set! Happy New Year’s Eve everyone! I am sorry I haven’t blogged much this fall but as we all know life happens. I wanted to share with you the new items from the Sale-A-Bration. 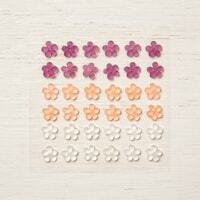 This is one of them it is Lasting Lilly stamp set. It is one of my favorites and we will be making this card at class on Saturday. This is one of the stamps you can get for $100 purchase with the Sale-a-Bration rewards. The Designer series paper is Floral Romance from the Occasions Catalog. Stamped with Poppy Parade onto Designer Series paper then use of wink of stella for the glimmer. I would like to wish everyone a very Happy New Year. May 2019 bring you much happiness with those you love. If any of you are parents to teenagers you know that getting them moving in the morning is worse than getting those in Washington D.C. to agree on something! Today is election day in our State, I am not a big fan of politics, I usually vote for who I think will make good sounds decisions and help the people. I vote because my dad always told me if you don’t vote then you have no right to complain. Another reason is because you can’t keep doing things the same way and expect a different outcome. So I encourage everyone to vote. I have noticed the days are getting shorter and have been seeing the signs of fall. The last several nights I have heard a pair of owls calling to each other. Owls are one of my favorite birds. When I was a child we had an owl living in our garage for a summer. It was not afraid of us and was so fascinating to watch. So when I saw the Still Night Bundle I knew it was for me. One of the perks to being a demonstrator is you get to see and order from the new catalogs a month before they are live. I used Mossy Meadow for my base, then Natures Poem Designer series paper for my background. I stamped the tree branch out on whisper white with soft suede, then colored with my blends. I stamped the owl out on granite grey and colored with blends and added a little bit of wink of stella. I liked the first card but it needed more….. I like cards to grab your attention and though I was happy with this one it didn’t have that wow factor I like. So I played around with the next card adding grapefruit grove and pineapple punch by sponging. Now it pops! If you don’t have a new Holiday Catalog let me know, I would be happy to send it out to you. Don’t forget for every $50 you spend in August you get a $5 bonus to use in September! I love great deals! Have a great day and week. Hope you get to spend some time creating! I would love to say my absence from my blog was due to increased crafting an summertime bliss, but that would be a lie. I am sitting here writing this from my son’s hospital room at the American Family Children’s Hospital in Madison. Along with writing this I am watching Med Flight take off and land. I know for sure they have been in and out about 5 times this morning. That means somewhere a family is in need of medical services and are as grateful for this service as I am. I am also grateful for the Children’s Hospital and the great care my son has received. Who would thought a puncture wound from a barn nail could cause so many issues 1.5 months later. He is doing fine, loves the 5 star accommodations. A teenagers dream, room service, xbox at the bedside, cable tv, ability to sleep and really nice people waiting on you. Mom on the other hand is ready to go home, my back is anything but impressed with the cot they give us to sleep on. It is better than the one I had when hubby had open heart surgery. So as you can see it is never a dull moment at out house. Pretty sure my husband thought I needed a sugar high by the size of the sour gummy worms he brought me. The good news I want to share with you is Bonus Days are back! For the month of August for every $50 on product you buy you get a $5 coupon to use in September. You can use these coupons on any item in the annual or the new Holiday Catalog that goes live on Sept 4th! I have had a sneak peak at the catalog and can’t wait to show it to you and all the wonderful products. Well just got the news we are headed home today so need to pack up so we can boogie! Thanks for all the well wishes and prayers you are so wonderful to me! First off I have to apologize for my delay in posts. Seems life caught up and somethings had to go on the back burner. Between my husband having open heart surgery, spring cleaning, new animal babies, farmers market starting and my mondaine daily jobs there hasn’t been time to blog let alone get crafts done! I know we are all busy but having your spouse home for 12 weeks underfoot and not feeling the best can become a bit daunting. Meet our newest edition to our little hobby farm. This is Squirt a spunky 4 week holstein steer. He is so sweet and friendly, and our dog loves to play with him. I enjoy watching him romp around in the play yard he has and how he interacts with the hens. I have been nursing one with a broken leg, amazing what a popsicle stick and gauze can do. Simple tricks you learn over the years. Hopefully that makes sense. Once I saw this I was like how simple is that! The last few days have been delightful with warmer temps, daffodils blooming, birds singing. A far cry from a week ago when we were trying to melt snow. I love my daffodils they are so bright and cheery. I am not sure if I will have tulips as they look a bit worse for wear from the late snow storms. Of course with all the blooming and budding comes my dreaded allergies. I am hoping they will be short lived. Last Sunday I stopped at the Dollar Store and was able to get candles and flame-less candles. I had wanted to try stamping on them for a time but never seemed to find the right size candles. Well I finally found what I was looking for. This is one of the flame-less candles that I did. I found they are a bit more challenging to work with. Here are the others I did and a box I made to go with a few of them. I hope to sell them this weekend at the Fennimore Craft fair. I think they will make great Mother’s Day or Graduation gifts. I hope to get a tutorial done this week so you are able to have fun doing this technique as well! All content (including text, photographs & designs) are copyright of All Wrapped Up With Ink & Ribbon – Amanda Gardner 2019. Shared for personal use only. No content may be removed, duplicated or copied for publication, contest entry, online distribution, or advertisement, without permission. This is a personal blog of Amanda Gardner, an Independent Stampin’ Up! Demonstrator, and I am responsible for its content. Stampin’ Up! does not endorse the use of or contents of the classes, services, or non-Stampin’ Up! products I may offer here.